Window cleaning can be a complicated task, especially if there’s a lot of surface area to cover and several floors to scale. This is further compounded if the weather isn’t favourable and it rains during the cleanup process. 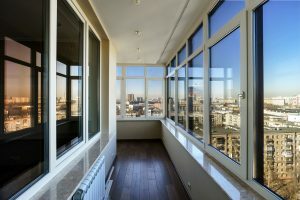 At Shimmer Glass Cleaning, we have worked in different weather conditions and know kind of tools and techniques in all kinds of situations. Here’s what you need to know about the impact of wet weather on window cleaning. If the windows are clean, wet weather won’t cause any problems. Rain will simply wash the windows and leave behind no stains or traces of water. However, if your windows are dirty and have a layer of dust on them, rainwater will turn the nearly invisible dust into highly visible wet dirt and leave behind ugly stains. The best way to avoid this problem is to clean your windows regularly and ensure the fine layer of dust is removed. Dirty windows get even dirtier with wet weather but clean windows stay clean. Australia has fairly predictable rainfall patterns. It generally rains in the morning and remains dry throughout the day or it rains in the afternoon and remains dry during the morning. This fairly predictable pattern helps us in scheduling and lets us carry out the cleanup process according to plan. We can easily plan around the rain and still get the cleaning done on the required schedule. It’s very rare for us to cancel the appointment or reschedule it because of wet weather. You can always call us and discuss the situation with our customer care executives before you schedule the cleaning process. If most of the window surface area is under cover, we can still clean it and wait until the rain stops to clean the rest. Australia doesn’t really experience continuous and consistent rainfall so we won’t have to wait for too long before we can clean the windows that aren’t under any cover or shade. We plan the process carefully in order to ensure that the rainwater doesn’t carry dirt from the dirty window sections to the newly cleaned ones. If the rain is consistent and continuous, we call the customer and discuss rescheduling if needed. In most cases, the rain is gentle enough for us to get the job done. However, if the rainfall is generous and the weather conditions are truly unfavourable, we can reschedule the cleaning to another date according to the customer’s preference. We like to set to schedule and get the job done on time but we also understand that delays can happen and adjust our schedule accordingly. We will contact the customer and discuss the options with them.